Proteum calculates that, for most users, OXE’s higher purchase price is recoverable after 700-1000 hours and sooner for operators unable to reclaim VAT on petrol. To ease the upfront costs Proteum has launched a Finance package* for commercial operators only. It has also added a TCO information tool on its website where users can calculate the cost profile for their operating scenarios. An OXE 150HP uses up to 45% less fuel than a modern 150HP 4-Stroke outboard, while its extended range significantly increases operational time between refuelling. Diesel’s higher working efficiency, ease of sourcing and lower volatility also makes it safer and more cost effective for commercial operators than a petrol equivalent. “The Finance package* allows the operator to benefit immediately from OXE’s fuel efficiency and lower ownership costs and alleviates the pain from the upfront costs,” said Neil Taylor, Head of Sales at Proteum. 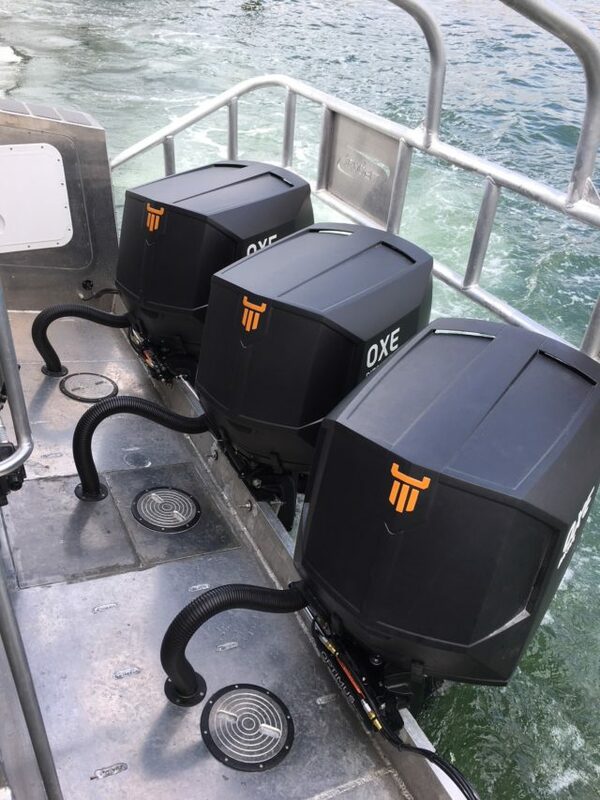 Earlier this year manufacturer Cimco Marine extended the OXE range with 125, 150, 175 and 200HP options to meet different customer specifications. A 300HP option is currently in development and due to be in production by early 2020. Proteum is exhibiting OXE on Stand 135 at Skipper Expo International Aberdeen, 17-18 May 2019 and at Stand PO12 at Seawork International in Southampton, 11-13 June 2019.